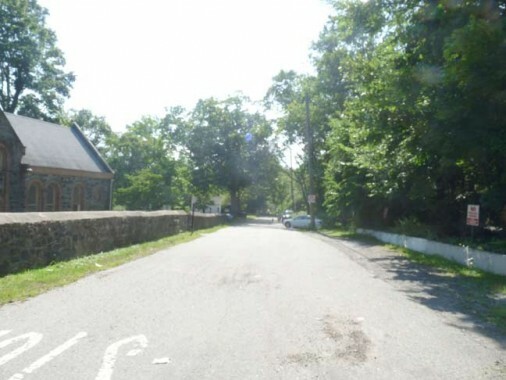 After leaving the 1836 Latourette House, which now serves as the clubhouse for the Latourette Park Golf Course, I wanted to make my way down to Richmondtown and then, the S74 bus back to the ferry. I had to steady myself, since this was by far the most dangerous part of the walk. 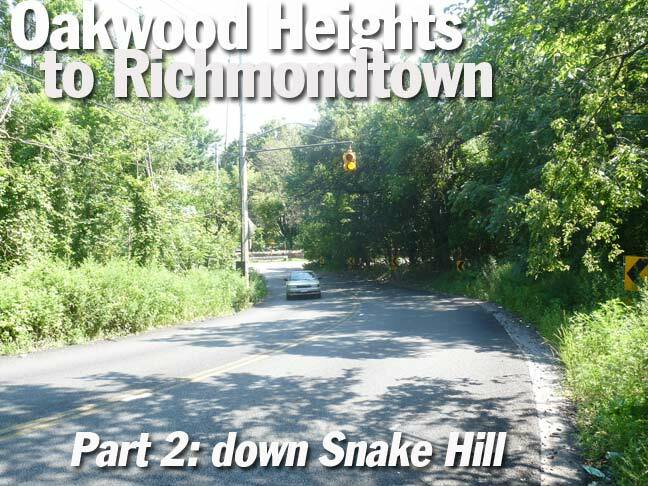 There is no other route from the golf course south into Richmondtown than to use Richmond Hill Road, which is called Snake Hill by Staten Island locals. I’ve never walked the whole stretch from Forest Hill Road in Heartland Village (a neighborhood built in the 1970s) to Richmondtown, though I have bicycled it once. 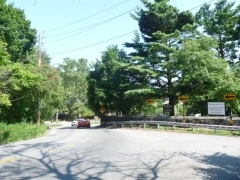 At a time (2012) when Mayor Bloomberg and Traffic Department czarina Janette Sadik-Khan have instituted bike lanes and made traffic calming measures to cater to pedestrians more than since the auto first appeared on NYC streets in the early 1900s, Richmond Hill Road remains resolutely dangerous to the life and limb of bicyclists and pedestrians, combining no sidewalks or shoulders whatever on a twisting, undulating two-lane road. 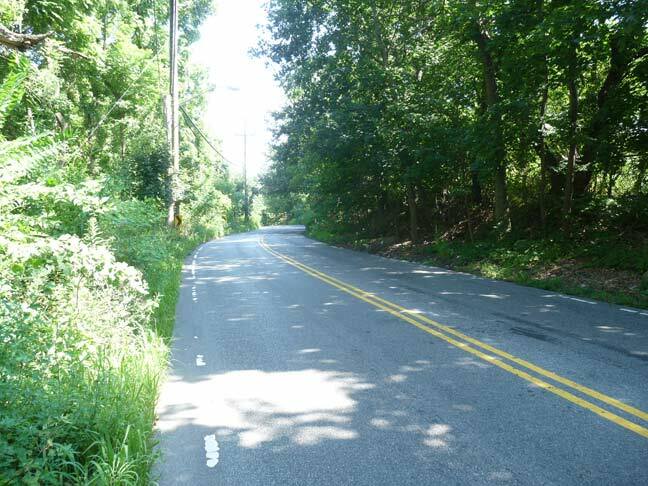 Granted, very few pedestrians take any chances and walk this stretch, but I do it about once every 5 years and thank the fates I’m still in one piece when I reach Old Mill Road, when I can exit the danger zone. 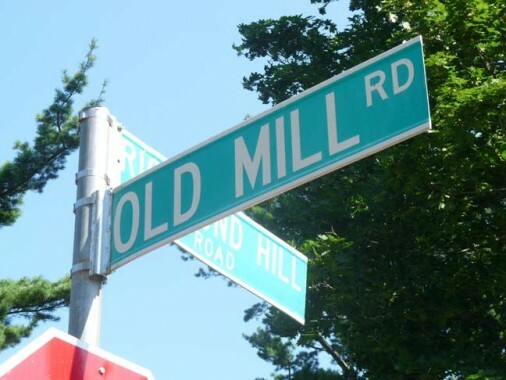 Old Mill Road comes to a dead end just past St. Andrews Church cemetery, but it is actually a colonial-era wagon path that originally went as far west as what is now Richmond Avenue. 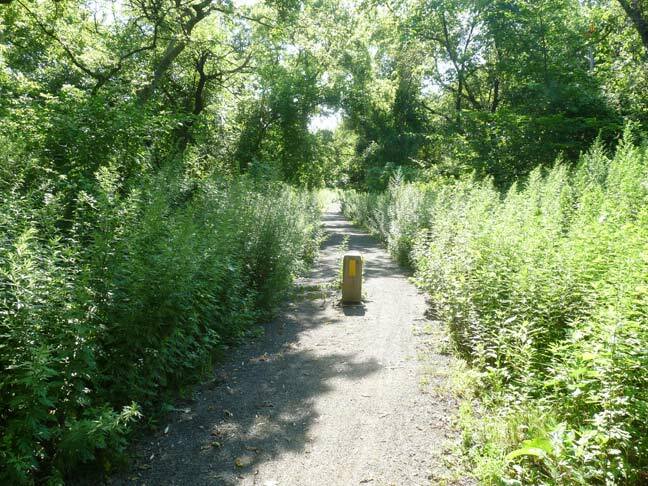 Long ago it led to a mill on Richmond Creek. When I first explored Old Mill Road in 1999, the going was tough and you practically needed a machete to weed-whack your way through. I was pleased to discover that back in 2009, NYC Parks gravel-paved the route and made it into a bike-hike path. I didn’t have the time to follow it all the way west and see if they also improved the Blue Trail, but I’ll do that before too long. I return to St. Andrews Episcopal Church periodically, to experience a small-town atmosphere that is becoming ever more rare within the five boroughs. 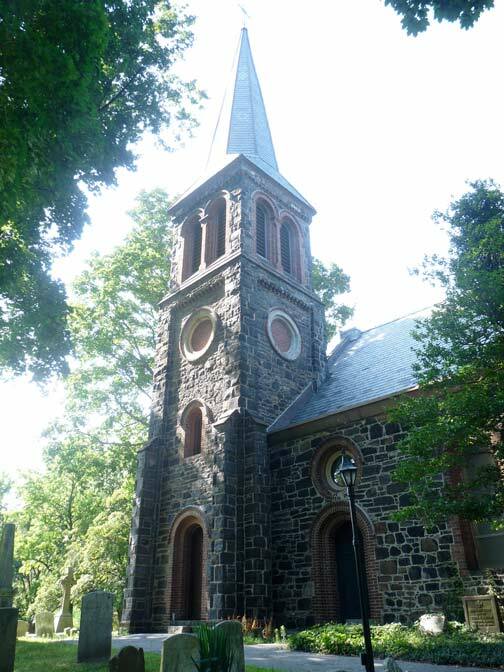 Trinity Church Parish and the Dutch Reformed Church in Flatbush may be decades older, but St. Andrews is no spring chicken. 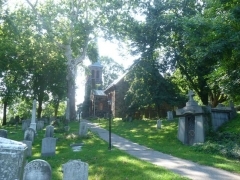 The Episcopal, or more properly, Anglican parish was established here in 1708, with its first church building erected in 1711 and British Queen Anne granting a charter in 1712. Patriots fought the British here on October 26, 1776 and August 8, 1777, damaging the first church, which also experienced devastating fires in 1867 and 1872. 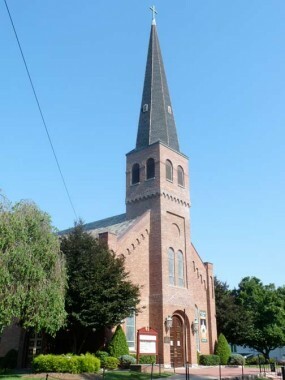 The present church, which incorporates some of the walls of the old church, was built in 1874. 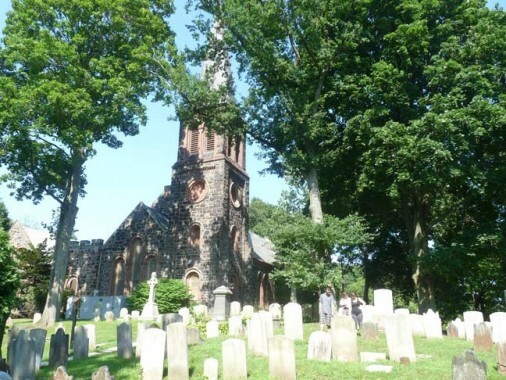 The St. Andrews Church cemetery contains the oldest remaining recorded burial in Staten Island, that of Ruth Dongan in 1733, whose headstone was placed in 1749. 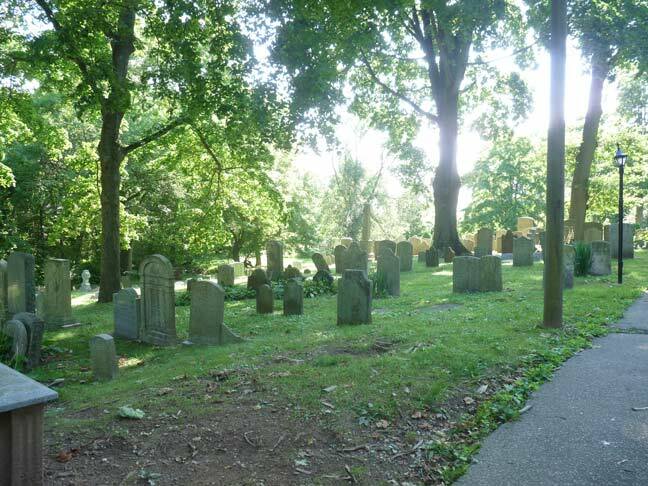 The oldest marker in the cemetery is that of Sibbel Arnold, which was placed in 1742. The cemetery contains many family names familiar from staten Island street names and also several family members of St. Elizabeth Ann Seton (1774-1821), the first American-born saint, who was born into the Anglican Church and raised a family before the death of her husband, after which she converted to Roman Catholicism and founded the Sisters of Charity. 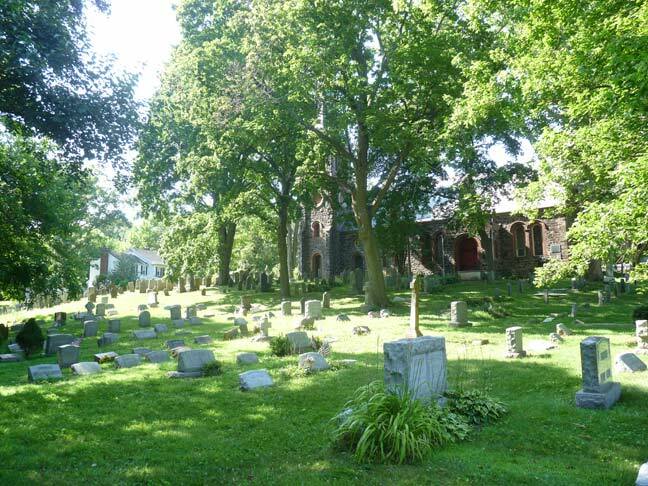 Mother Seton herself is buried at her national shrine in Emmitsburg, Maryland. In 2004, a new plot was added to St. Andrews: a pet cemetery, the first of its type in Staten Island. I am in Richmondtown again and again. Here, at the confluence of Richmond and Arthur Kill Roads, is a premier collection of historic buildings that have been assembled here from all over the island. It all comes together seemingly effortlessly and the ancient dwellings and businesses seem as if they have been side by side for centuries. 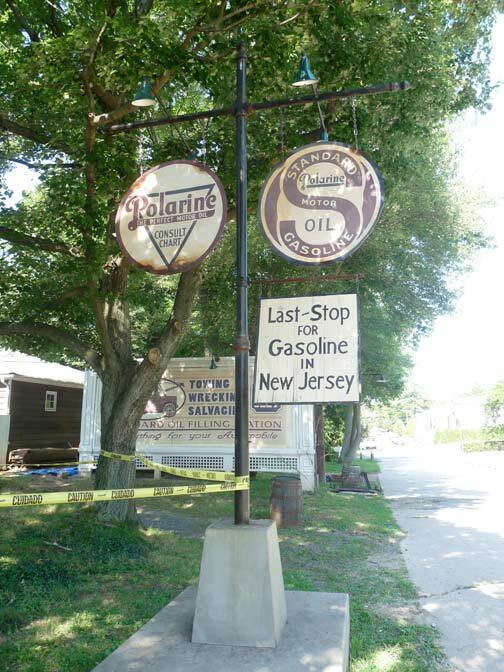 On this visit, I found several new additions, done for scenes from the HBO drama Boardwalk Empire Season 3, focusing on the adventures of Atlantic City vice king Nucky Thompson, played by Steve Buscemi, to air in the fall of 2012. 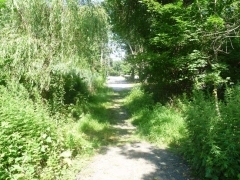 The town was founded in the early 1700s and was originally known as Cocclestown because of an abundance of oysters, known colloquially of cockles. 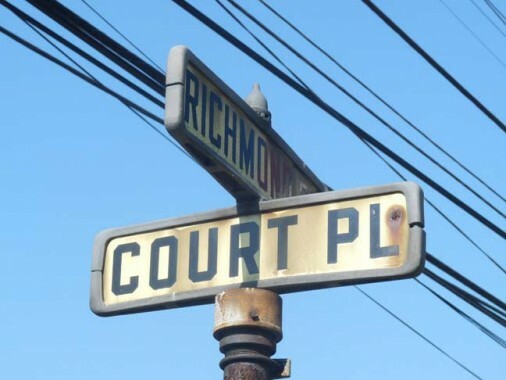 For decades, Richmondtown, or simply, Richmond, was the island’s county seat and the county courthouse still stands as the historic organization’s headquarters. 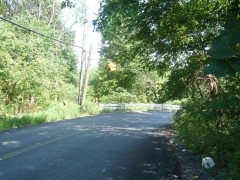 The so-called Treasure House still stands at the end of Richmond Road where it meets Arthur Kill Road. 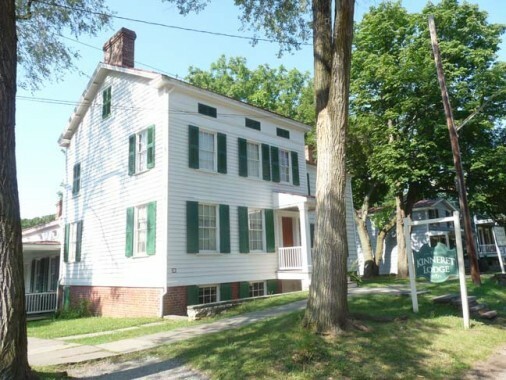 It was built here in 1700 and was enlarged between 1740 and 1860. The building has housed saddlemakers, tanners, shoemakers, bakers, and has been a post office. During the Revolution, the story goes, British troops hid away a cache of sovereigns worth about $7000; the money was found here by painters in 1854. Believe it or not, this was once a ramshackle bus terminal. 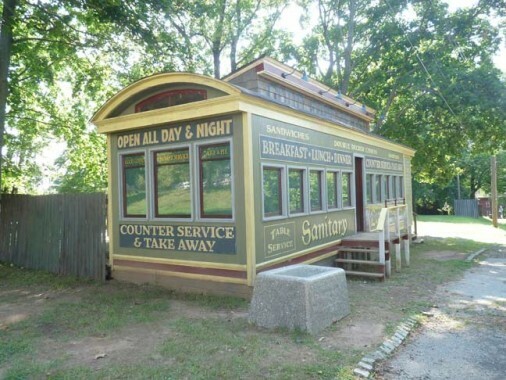 Many of Richmondtown’s buildings had previously been covered by 20th Century storefronts before the heart of Richmondtown became a historic park and they were restored to some semblance of what the looked like in the colonial era. This had been the mansion of shipping merchant John Bennett that was built in 1839. It has been revived as a showcase for dolls and toys used by Richmond Town children in the colonial era. The basement is now a restaurant that serves breakfast and lunch and the occasional dinner. 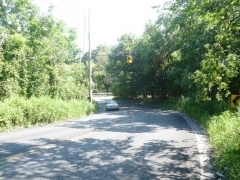 From the early 20th Century into the early to mid 1960s, most Staten Island streets were identified by these small street signs mounted on their own posts or on telephone poles. 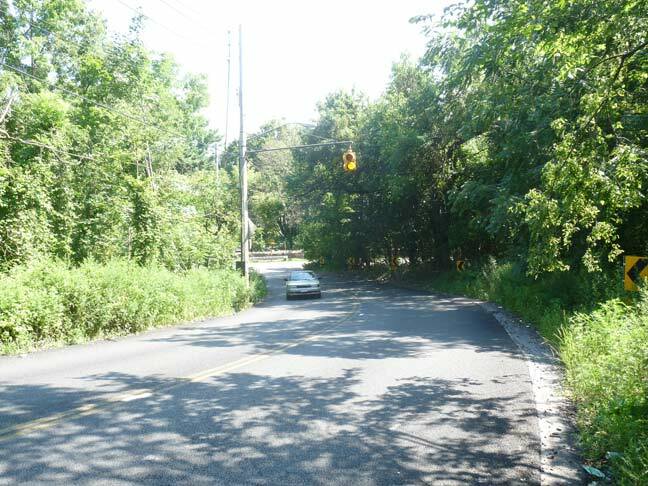 As far as I can gather, there are only two that remain, this one in Richmondtown and another on Cubberly Place in New Dorp. 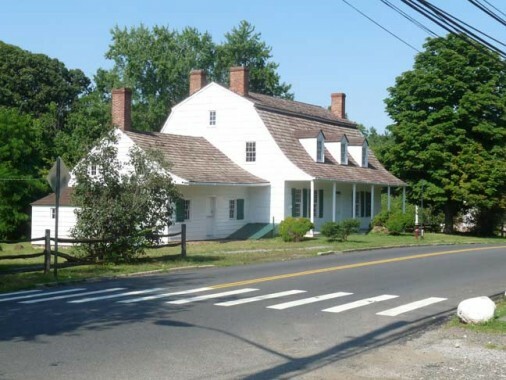 The Dutch Colonial dwelling was built in New Dorp by Joseph Guyon in about 1740. (You can find his name inscribed in one of the walls.) 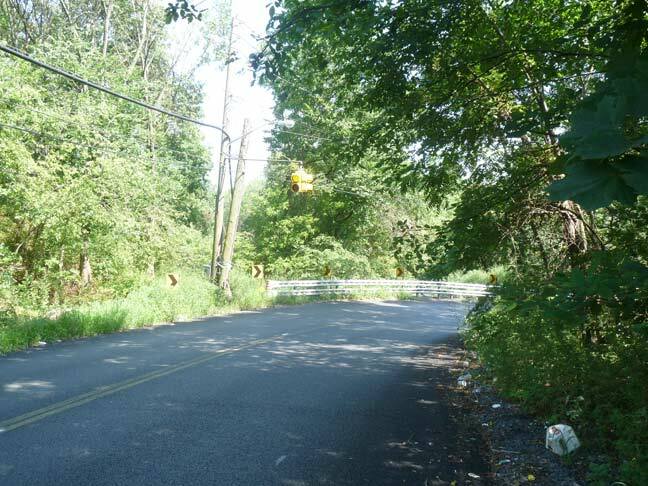 This was once the seat of a 112-acre estate that included granaries and cider houses; it passed through the Lake and Tysen families and was then donated to Richmond Town and moved here to Richmond Road in 1969. 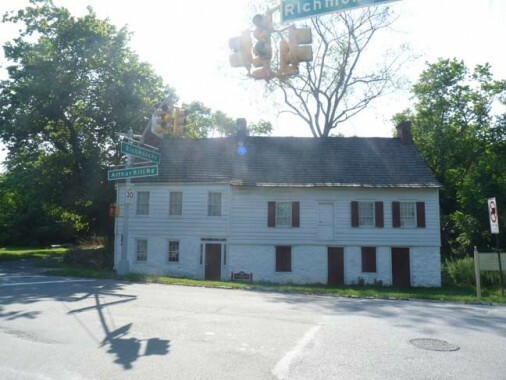 Of all Richmond Town’s ancient houses, this is the one where both tourgoers and guides have supposedly felt the presence of spirits, as cabinet doors have been thrown open with no logical explanation, unaccounted-for footsteps have been heard upstairs, and faces have been seen peering out the windows of the building before the doors have been unlocked. Of course, your webmaster thinks ghosts is the bunk, and if you don’t believe in them, you can’t see them. You see what you believe. On Court Place is the functioning print shop, which has a hot metal press, and the county general store. 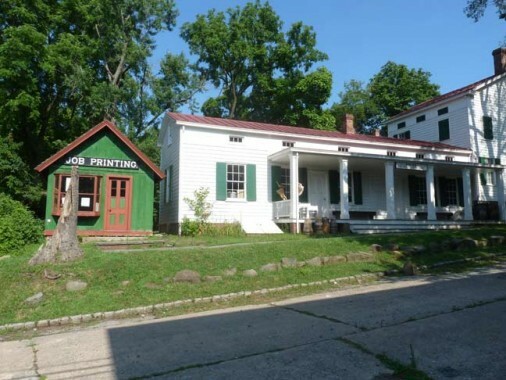 The print shop was built in Eltingville, just southwest of Richmondtown, in 1860. 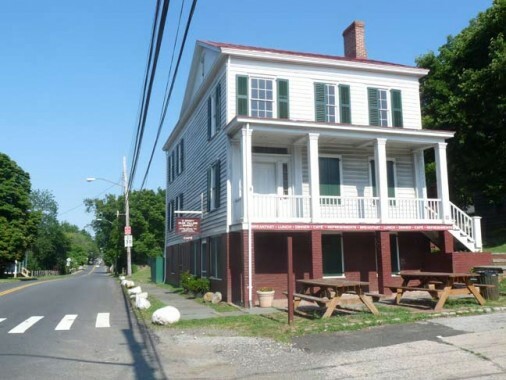 The general store was actually run as a ‘real’ one by Stephen Stephens and later Joseph Black until 1926, and the interior has been matched closely to general stores of the late 19th or early 20th Centuries. 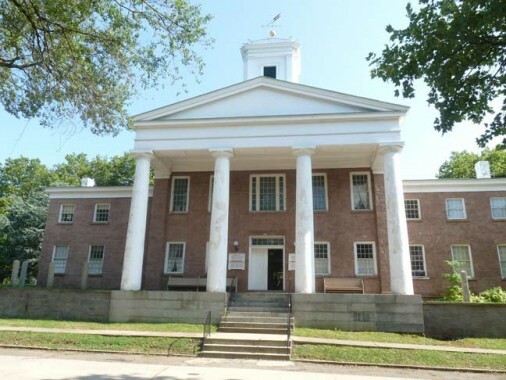 This is the former county courthouse of Richmond (from 1837-1919), which also contained the county jail. 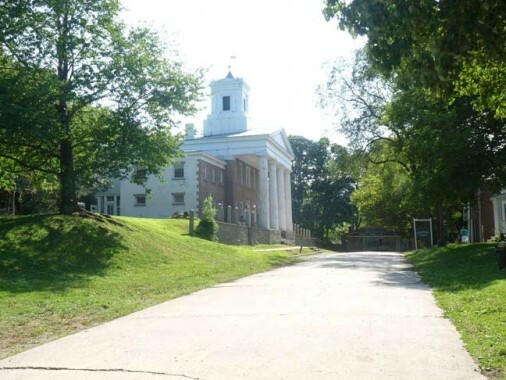 Today it hosts the Richmondtown visitor center, meeting rooms and souvenir store. 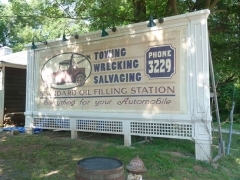 This is the front of the Stephen-Black general store. It has recently gained a “Kinneret Lodge” sign for Boardwalk Empire. 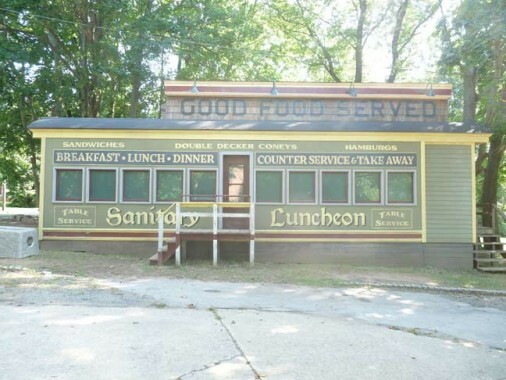 “Sanitary Luncheon.” Set piece added for Boardwalk Empire. 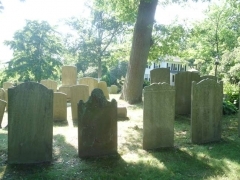 Rezeau-Van Pelt Homestead Graveyard contains early 19th Century remains of the Rezeau (Huguenots who emigrated here during the colonial era), Van Pelt, Wheatley and Johnson families. 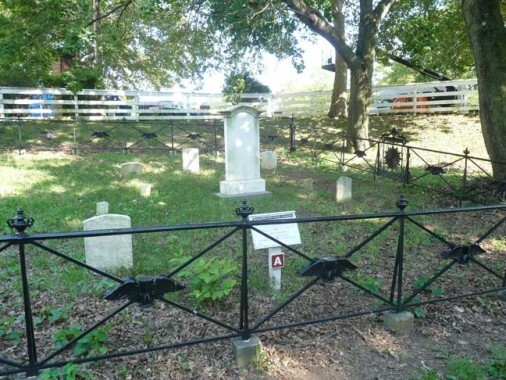 The iron fence bears symbolic hourglasses with wings, as well as burial urns. 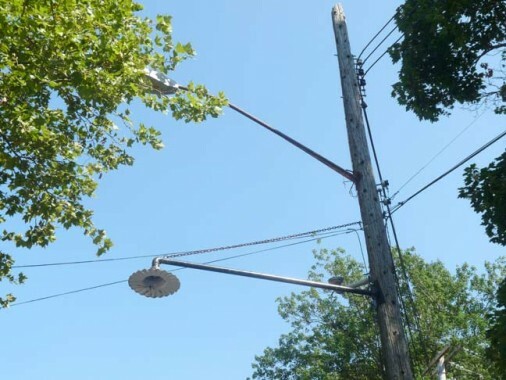 A number of telephone pole lamp masts bearing radial-wave luminaires, the type used in the 1920s, have appeared on Center Street, for Boardwalk Empire. Since I’d imagine these can be fitted out with modern high intensity bulbs, I’d like to see these appear on NYC side streets, but you don’t get the coverage you get with glass diffuser bowls, so it probably won’t happen. 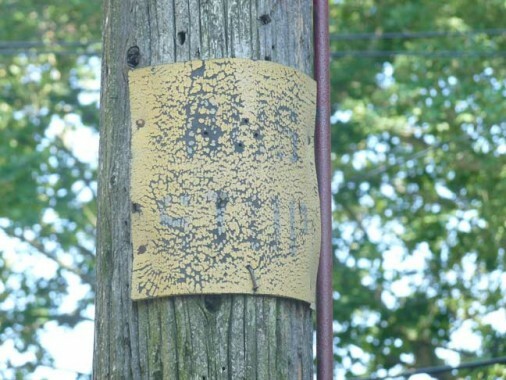 This ‘bus stop’ sign is hiding in plain sight on Center Street. I’ve seen a few elsewhere on the island. Before the advent of modern bus stop sidewalk signs, these were standard issue at Staten Island bus stops up to the 1960s. 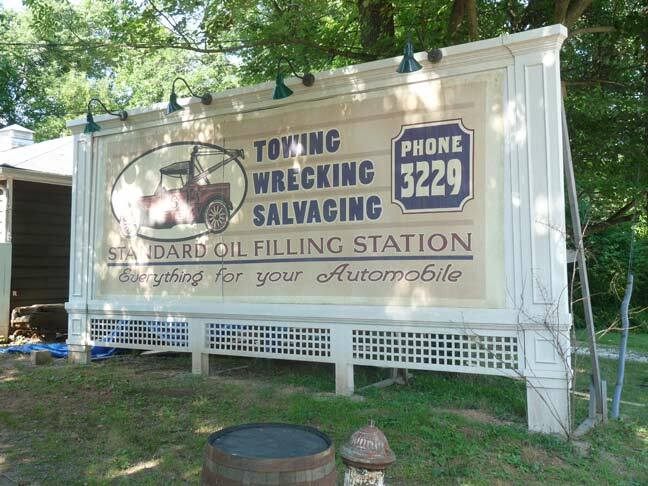 This roadside gas station on Center Street is a set piece for Boardwalk Empire. Note the New Jersey sign locations. Looking west on Center Street toward the courthouse. 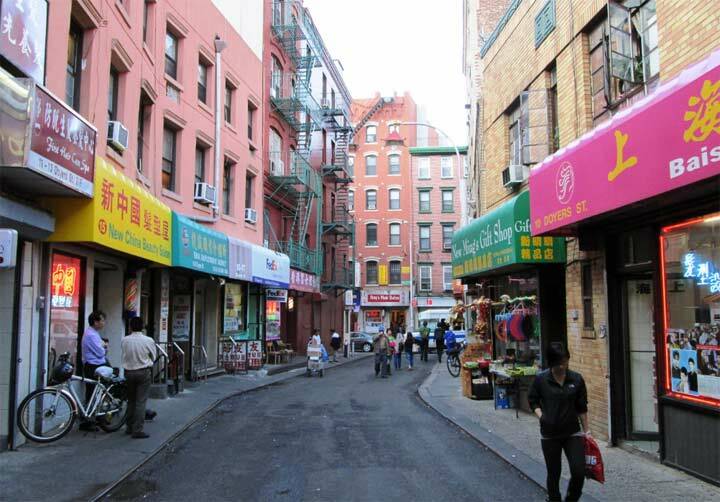 PS 28, Center Street and St. Patricks Place. 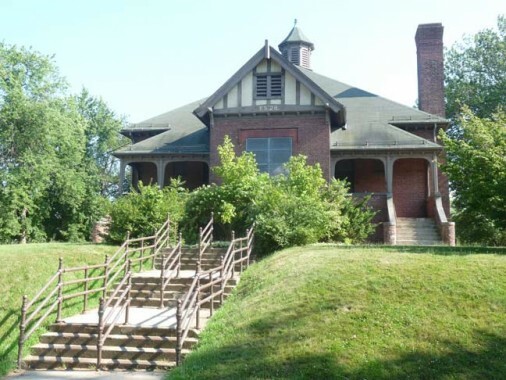 Wonderfully preserved “Arts and Crafts” school building from 1908, used as a school until the late 1970. It currently houses the Society’s library and archives. Roman Catholic St. Patrick’s Church, on the Place that bears its name, is a NYC Landmark built from 1860-1862. Believe it or not it was once painted all white. 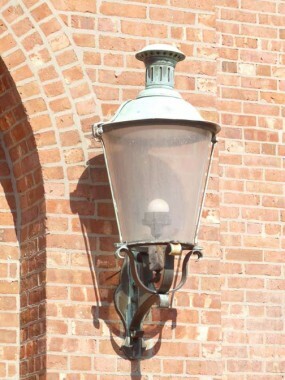 The wrought iron lamps by the entrance are from the late 19th Century. 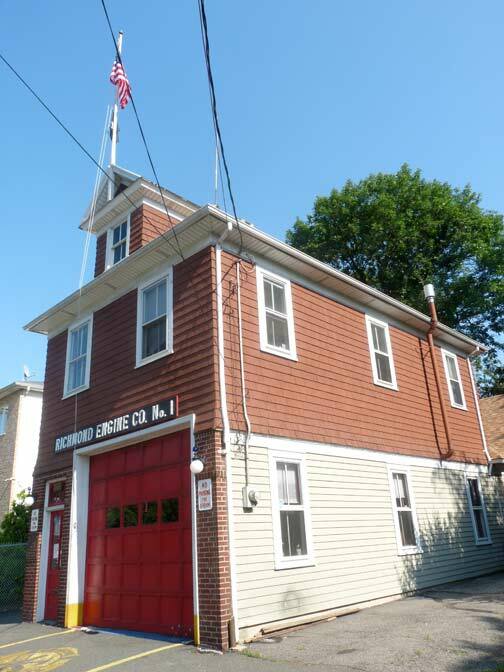 Richmond Engine Company #1 reflects the area’s original name, simply “Richmond.” This is one of two active volunteer fire departments on Staten Island. 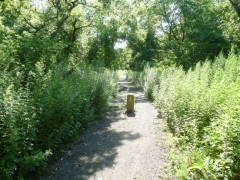 The other one is in Travis, on the western end of Victory Boulevard. What a beautiful town. You are right, they must fix that street for pedestrians; there are places that people just need to walk to and there are no sidewalk- it’s always very dangerous. Historic house like the Treasure House and John Bennett house are very nice, people in the past really knew how to build nice houses. I love the trolly restaurant Sanitary Luncheon, do you think they are sending a message to the Board of Health with their name? 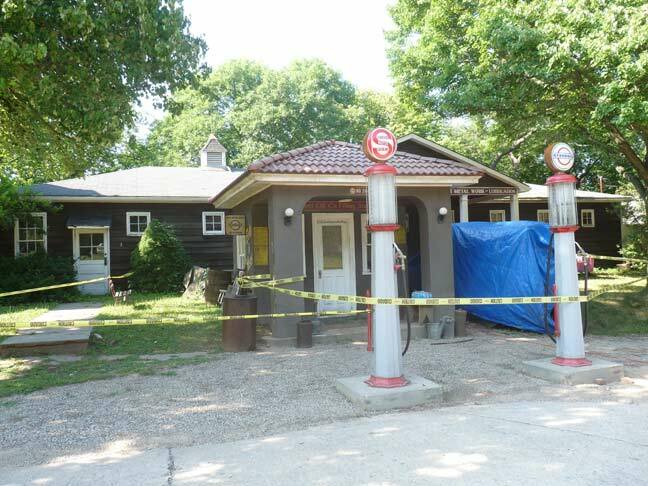 Just saw the promos for upcoming season of “Boardwalk Empire” and Richmondtown was in full view, including the “Kinneret Lodge” and the faux gas station. “Empire” does an amazing job of making Brooklyn and Staten Island look like 1920s New Jersey, and I’m so glad they discovered Richmondtown, one of NYC’s hidden jewels. The interior of the courthouse still functions as it always did. It was a special treat to see a community theater group’s production of “Inherit the Wind” (the Scopes monkey trial) staged in its courtroom a few years ago. I enjoyed this article very much, thank you ! 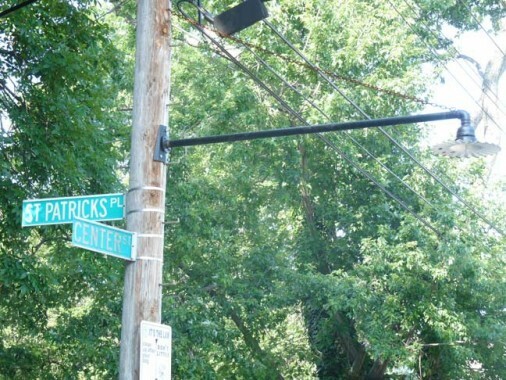 I grew up in this neighborhood, attended St. Patrick School. On very snowy nights in the late 70’s, we used to fly down “Snake Hill Rd.” on our sleds while on our way home from sleigh riding at the golf course (we were invincible). 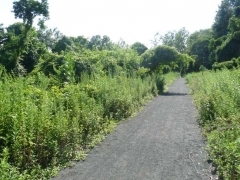 Also, in those days, up on Lighthouse Hill there was a crude footpath that you could access from Edinboro road, we called it “Dead Man’s Path“. It went straight down the hill all the way to the bottom, extremely steep in places, what fun !! We had allot of fun growing up in that neighborhood. You reminded me that the church had been white ! I think they sand blasted the paint off sometime in the mid 1980’s.